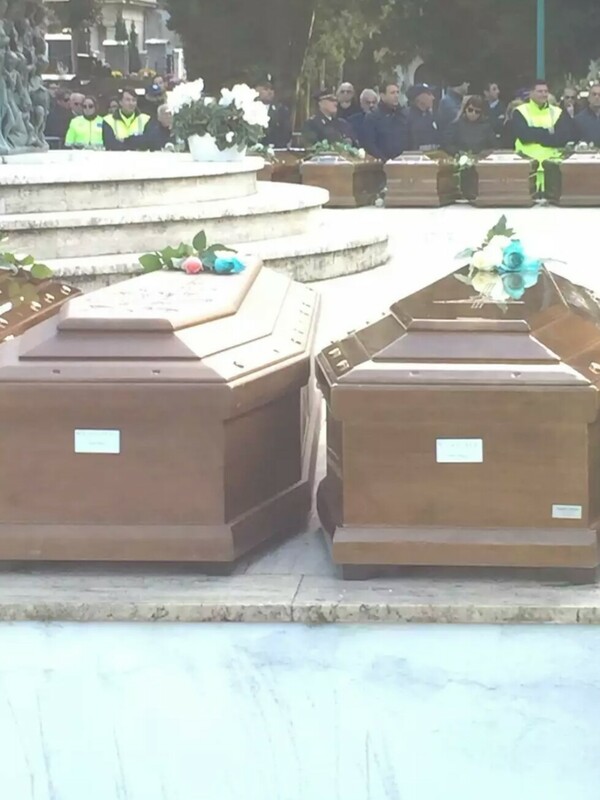 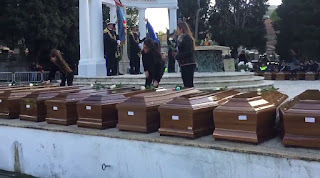 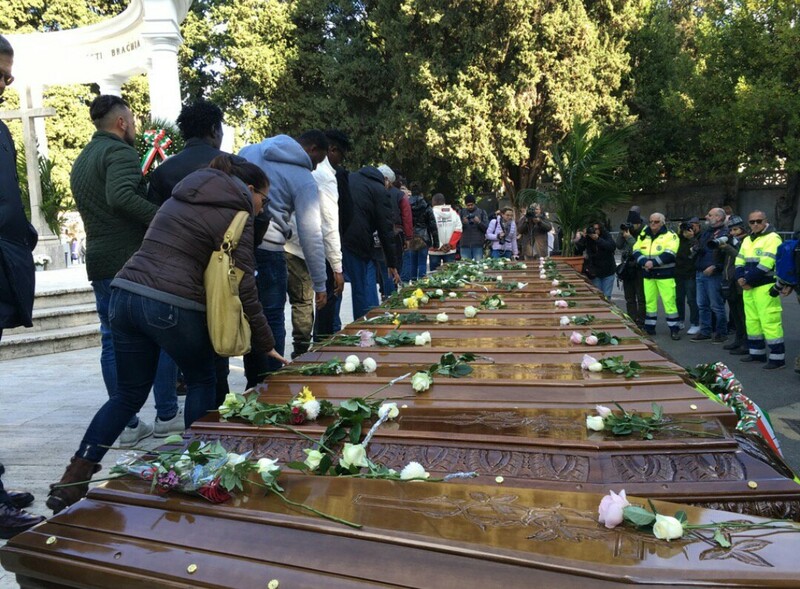 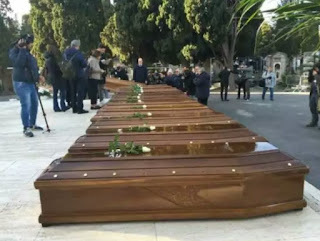 The 26 Nigerian female migrants who died while crossing the Mediterranean sea to Italy in a bid for greener pasture overseas have been buried. 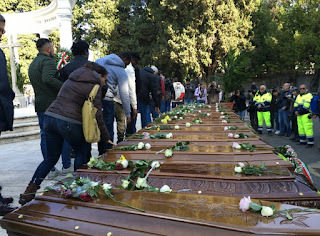 The girls that were between the ages of 14-18 were presumed to have been sexually abused and gruesomely murdered as they were finding means to cross the sea, but the autopsy carried out on the bodies in Salerno Italy, revealed that 25 of them died of asphyxiation in the water while the remaining one suffered a wound to her liver. 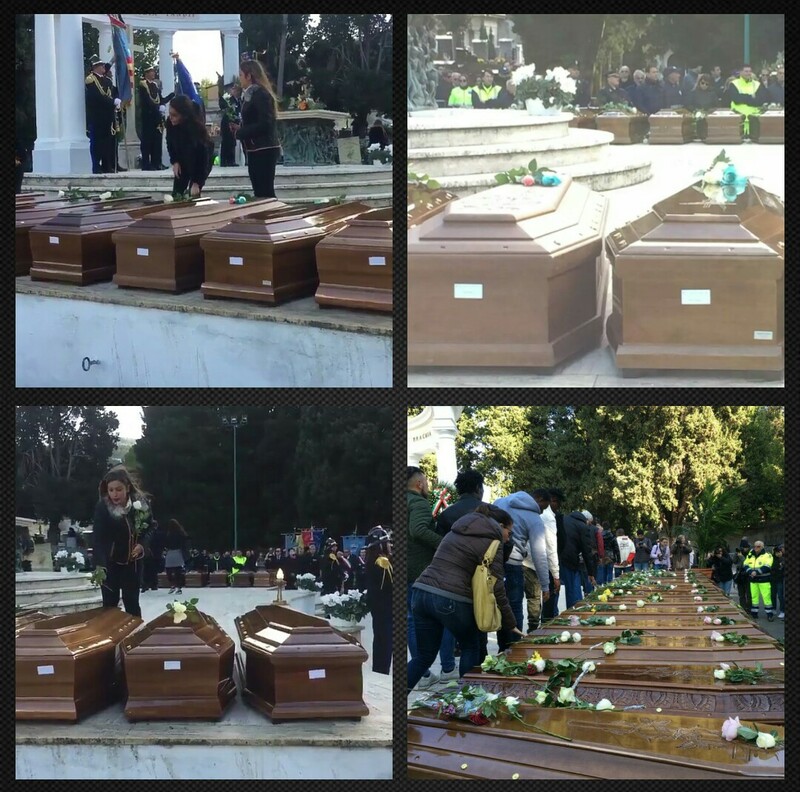 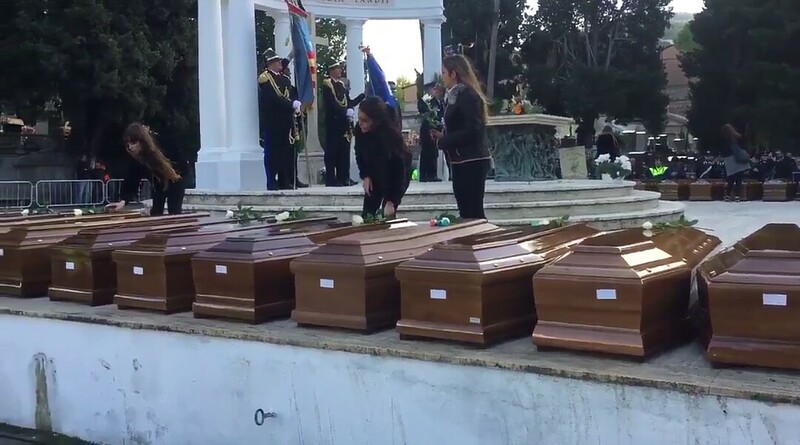 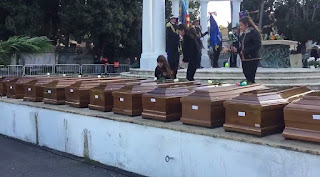 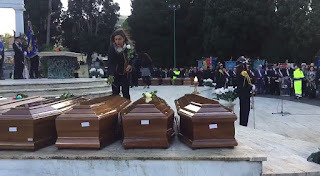 The Funeral took place in Salerno, Southern Italy where a day of mourning was declared. According to a Twitter user @paraicobrien who attended the event, a white rose was placed on each coffin, while smaller roses were placed for the two unborn children. A Twitter user also responded to a persistent question on whether there were official representatives from Nigeria at the occasion, but the answer was disheartening. 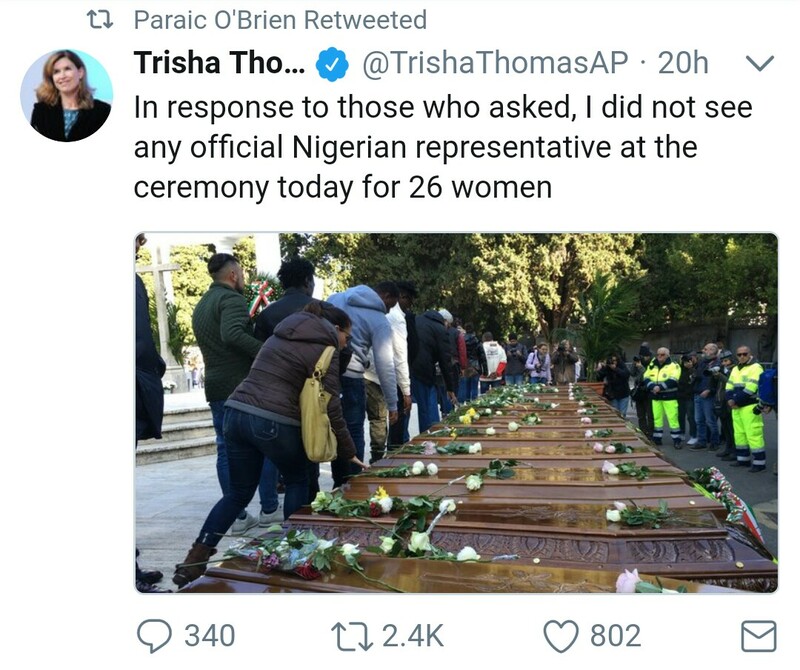 In response to those who asked, I did not see any official Nigerian representative at the ceremony today for 26 women.